Thanks to the wetland areas across the valley, many perennial as well as migratory birds frequent the area. Text and photos by Len Warren. Background photo by Nancy Good. 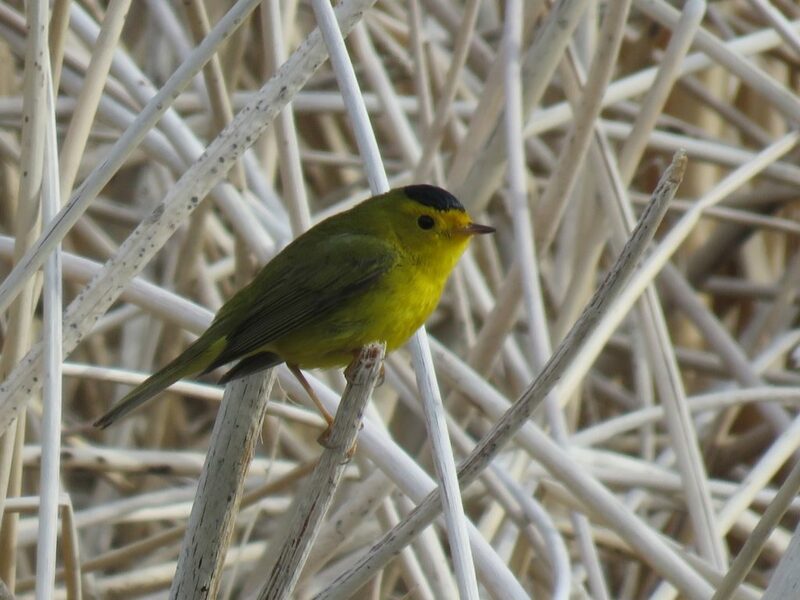 Historically, at least 227 species of birds have been sighted in the Amargosa River region. 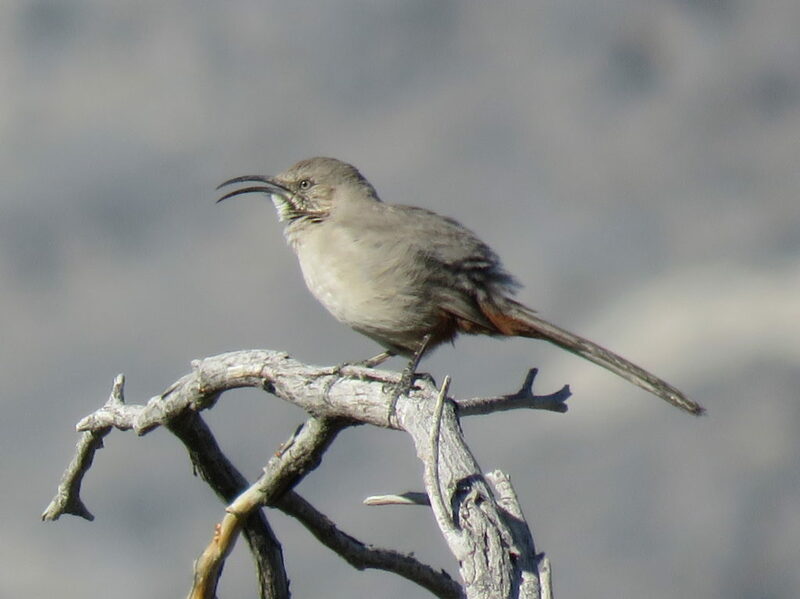 Three Federally Endangered birds use the Amargosa Rivers’ watershed. The Least Bell’s Vireo breeds in Tecopa and Shoshone. 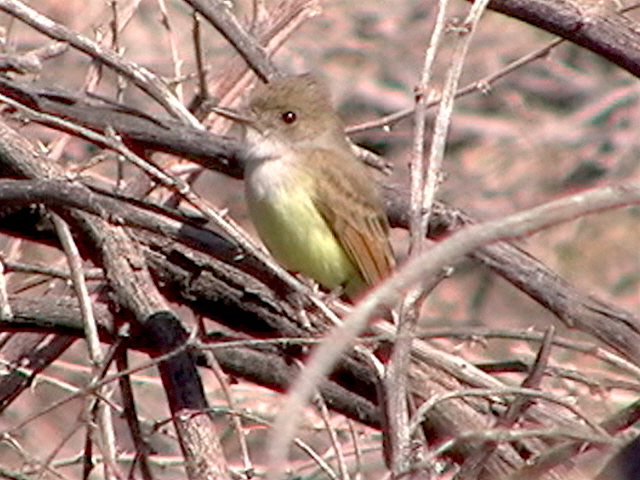 The Southwestern Willow Flycatcher apparently migrates through in May and June, and occasionally breeds at Ash Meadows. In the future if its population recovers, they may use Amargosa willow habitat for breeding. The Yuma Clapper Rail during wintering and breeding, occasionally uses Ash Meadows Wildlife Refuge. Amargosa’s birds can generally be grouped in 5 categories. Each category has exceptions, as birds, and their behavior, can be unpredictable. Click on thumbnails to expand selection or access the gallery. Year round residents are exactly that. They breed locally, and winter locally as well. They do not migrate. However, some may shift locally between breeding territories and winter territories. Winter residents are birds that use the Amargosa’s food, shelter and water resources during winter, but breed elsewhere. Migratory breeders winter elsewhere, but return to the Amargosa during their breeding season. Some birds migrate great distances, others simply shift elevation between wintering and breeding. Migrants are birds that travel through the area, seasonally, sometimes staying only briefly, a day or two, to rest and or feed, sometimes for weeks, regaining precious body fat to continue their seasonal migrations. As a migratory pathway, the Amargosa watershed is a very important stopover, providing water, food, and shelter for thousands of birds that are traveling to destinations from the Arctic to South America. These are birds that were never “supposed to be” here in the first place. It is always exciting when a rare bird occurs. Many reasons for their appearance are speculated upon, such as being off course during migration, due to weather conditions, some sort of internal malfunction, or symptoms of population growth, shift, or range dispersal. The Amargosa Region because of its isolated location, and its oasis like nature, often becomes a temporary resting area for such wanderers. 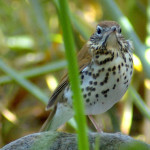 Shoshone Village has developed a birding brochure for the wetlands in and around the town. You can also shoshone-birding-brochure-full (pdf file). The back side of the brochure has a full color map indicating the walking trails through the wetlands.